Speaking of mirror aluminum sheet metal, the first reaction is the reflective material of lighting industry. Nowadays, it is no longer just reflective material, because of its beautiful appearance and superior performance, it is recognized by more and more industries, mirror aluminum is also favored in the construction industry, the France Louvre Lens branch project built in 2012 is the best description which use of a large number of mirror aluminum sheet indoor and outdoor. The French Louvre Lens Branch is a unique project in the world. Ordinary aluminum sheet can not meet the needs of this design for reflective levels, but the mirror aluminum sheet can do it. While exhibiting exhibits in the Louvre Lens Branch in France, visitors are attracted by the magnificent atmosphere interior and exterior mirror walls. Looking from outside, the mirror aluminum bring the curtain wall noble and elegant art, its establishment is undoubtedly add the cultural atmosphere which enough to change the old mining area image. Mirror aluminum and glass build a rectangular modern pavilion, showing a very different style with the Paris Museum, giving the Louvre a new era. Into the interior of the museum, mirror effect of the exhibits will be set off to make life, so that the indoor visual effects more illusory and open. 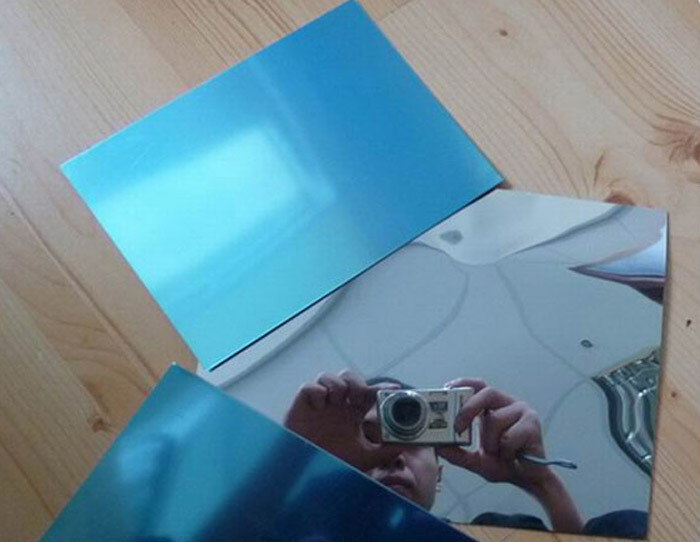 Mirror aluminum sheet metal is the art eye.